Anyone can sell BumpeFace Products, but you will need to be registered to sell BumpeFace Products @ your location. Registration is Free, simple complete your order by clicking the “Add to Cart” button, after you complete your order, complete the registration form and a BumpeFace Representative will contact you. Contact BumpeFace, LLC to get registered! 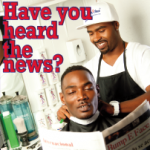 Be the first to review “Barber Shop, Salons, and Retailers Special” Click here to cancel reply.